Big Bend had the most ridiculous night sky, like staring God in the face and for the whole time I was there I was trying to remember all the stars I learned during my midnight watch in the Merchant Marines when I had a star navigation book to memorize for 6 hours. The light from the oil platform drilling rig did cause some pollution as we weren't anchored in the middle of nowhere, but I could still learn a few of the popular constellations. The one that I always remembered is called Zuben El Genubi. It's Arabic for "The Southern Claw" of Scorpion. But that star is officially called Alpha1, and it's actually a double star along with Alpha2 but light pollution and some 76 million light years between us make that hard to discern. Furthermore, it's now part of Libra, The Scales constellation. 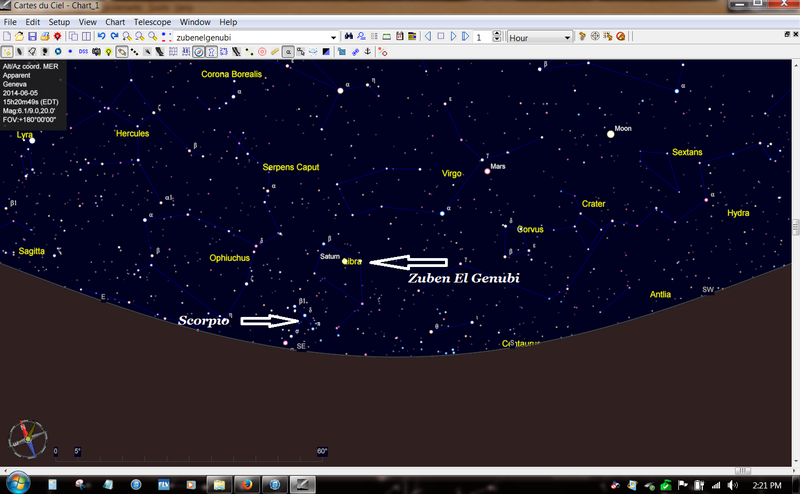 I mention this because if you are in the northern Hemisphere and you look to the south east you will see the Scorpion's hooked body low on the horizon and three stars that make a kind of arrow that point toward Libra, which is an unmissable quadrangle shape and the upper right star in Libra is Zuben El Genubi. And I'm pretty sure right now (tonight the 5th of June 2014) the closest bright object to Zuben El Genubi is the planet Saturn. The moon isn't yet half full so there's a chance to see these objects. Night sky is a big deal at Big Bend so I was turned on to some cool star software available for PCs. Because the last thing I need is another huge star navigation book in my van. I saw some folks with a similar application on their smart phones and was amazed. This free software doesn't automatically scroll depending on where you point the laptop but for a few dollars you can turn your smart phone into a kind of virtual self adjusting telescope. The one I use has an animation feature that opened my eyes. If you want to get specific, around 10 or 11 tonight the constellation of Scorpio will be pointing at Libra, where Saturn is, and then follow the same line to Mars where it's talking dirty to the virgin Virgo, and continue on to our own moon. We're all getting more like Science Officer Spock every day. Editor's Note: This was a prophetic post as I looked out of the van as I was getting ready to sleep on the side of the road near an oil field supply yard and to the south east was the top half of Scorpio and the bright Saturn and a glimmering Zuben El Genubi and in line with the nearly half moon was Mars. Even with light pollution most was visible.